The visual experience during a concert is normally secondary to the music of the artist. However, Flying Lotus masterfully combined his music with stunning 3D visuals leading to one of the most unique performances I have seen. 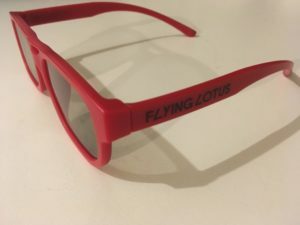 On November 10, 2017, Steven Ellison, who goes by the stage name of Flying Lotus, stopped in Toronto to perform at the Danforth Music Hall on his Flying Lotus in 3D tour. 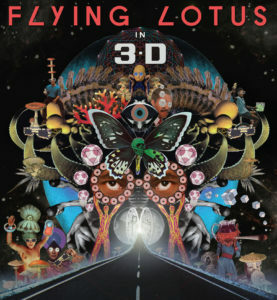 Flying Lotus blends electronic music with jazz, hip-hop, and dance elements that lead to a very unique experimental sound. As with all music, it is easier to listen to than trying to explain with words. At the bottom of the review you can find a song from his 2014 album Your’re Dead, “Coronus, The Terminator”. 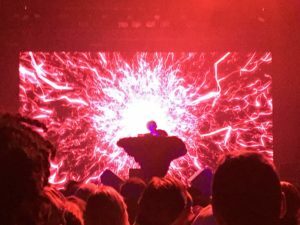 Flying Lotus has always attempted to push the boundaries of what he can do visually when he performs. This tour, he took it to the next level by having the screen behind him be in 3D. As you entered the music hall you were handed 3D glasses, and gladly the 3D wasn’t a gimmick as it worked flawlessly and enhanced the complete experience. Throughout the night, the stage lighting would strobe in every colour imaginable and along with the 3D added an intense, yet fun energy to the music. There were a few moments when the 3D really stood out. One of these moments was when a spaceship was moving around on the screen and it truly felt like it was coming out and going over the crowd. Another unique moment was when a 3D smoke effect on the screen was combined with a smoke machine. The blended practical effect and the 3D of the smoke created a surreal atmosphere in the Danforth Music Hall. A few times during the show the 3D would surround Flying Lotus and make it appear like he was behind the elements coming out of the screen. The show was filled with many more creative uses of the 3D that left most people speechless and in awe. The 3D was a perfect compliment to the music and it sounded fantastic. Flying Lotus played some of his most popular songs and remixed a few other artists material. It is hard to pick out individual songs since he played his music nonstop with smooth transitions, but his biggest hits such as “Zodiac S***”, “Do the Astral Plane”, and “Coronus, The Terminator” were favourites in the audience. During the set he remixed “King Kunta”, and “Wesley’s Theory” by Kendrick Lamar that also thrilled the crowd. He closed the night with his biggest hit, “Never Catch Me” (feat. Kendrick Lamar), at 11:00 PM. Unfortunately, it appeared that the curfew was 11 PM because when the song started the venues volume was lowered and the lights began to be turned on. This was disappointing but didn’t take away anything from the overall experience of the night. Flying Lotus was very grateful towards the Toronto crowd. Even though he was behind his equipment, his personality was able to come through when he interacted with the 3D effects and by speaking to the audience. I would have preferred if Flying Lotus performed for a bit longer than the hour and if it could have ended on a higher note, but it was still a tremendous show. The 3D and music worked wonderfully together to create a fascinating concert, which is hard to describe in words and really just needs to be seen to understand. It will be interesting how Flying Lotus can continue to experiment with his live setup to keep pushing the boundaries of what is possible in future tours.